Dr Marc Roseberry qualified from Edinburgh University in 2001 and is a Member of the Royal College of General Practitioners. 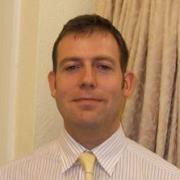 Dr Tim Irvine qualified from Sheffield University in 2002 and is a Member of Royal College of General Practitioners. He holds the Diploma of the Faculty of Sexual and Reproductive Healthcare. He has the letter of competence in contraceptive implant fittings. He is able to perform joint injections. 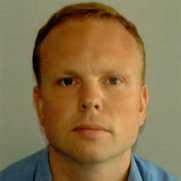 Dr Kim Speed is originally from Liverpool and attended the Royal Free Medical School London and qualified in 2000. She is a Member of Royal College of General Practitioners. She has a special interest in Women's Health and holds the Diploma of the Faculty of Sexual and Reproductive Healthcare. She has letters of competence in coil and contraceptive implant fittings. Dr Keith Selvarajah qualified from Edinburgh Medical School in 2002. He has a wealth of knowledge and varied medical experience. Dr Katy O'Hara is a GP Partner at the practice, following a three year placement with Cumberland House during her training. Dr Priya Bhatnagar qualified from the University of Manchester in 2008. Dr Bhatnagar attained her MRCGP in 2016. The practice nurses are registered general nurses and specialist practitioners in General practice Nursing. They can help with general health, dietary, stop smoking and lifestyle advice, well ­person and blood pressure checks, cervical smears, asthma, menopause and vaccinations for home and abroad. Our Healthcare assistant, Paula, supports the practice nurses with their daily work and carries out tasks such as phlebotomy (drawing blood), blood pressure measurement, new patient checks and ECG's. HCAs may act as a chaperone when a patient or doctor requests one. Our Healthcare Assistant, Dee, supports the practice nurses with their daily work and carries out tasks such as phlebotomy (drawing blood), blood pressure measurement, new patient checks and will soon be trained in carrying out ECG's. HCA's may act as a chaperone when a patient or doctor requests one. Cumberland House Surgery has a management team consisting of a part-time Practice Manager and two part-time Deputy Managers. The Practice Manager is Rachel Cummings and our Deputy Managers are Vikki Brown and Torie Gooden. The management team are involved in managing all of the business aspects of the practice such as making sure that the right systems are in place to provide a high quality of patient care, human resources, finance, patient safety, premises and equipment and information technology. The practice manager supports the GPs and other medical professionals with delivering patient services and also helps to develop extended services to enhance patient care. As well as typing letters, handling emails and faxes to and from the local hospitals, the medical secretaries deal with patients' telephone enquiries each day between 9.00am and 3.00pm. District nurses are registered general nurses with specialist training in community nursing to enable them to give expert care at home, in clinics or in the surgery. Your team of district nurses are available on request from surgery to assess your nursing needs. District nurses are based at 5 Curzon Road, Southport tel: 01704 387085. The health visitors are employed by the Southport & Formby Primary Care Trust and can be contacted at Linaker Children's Centre, Sefton Street, Southport. Telephone number is 01704 532343.